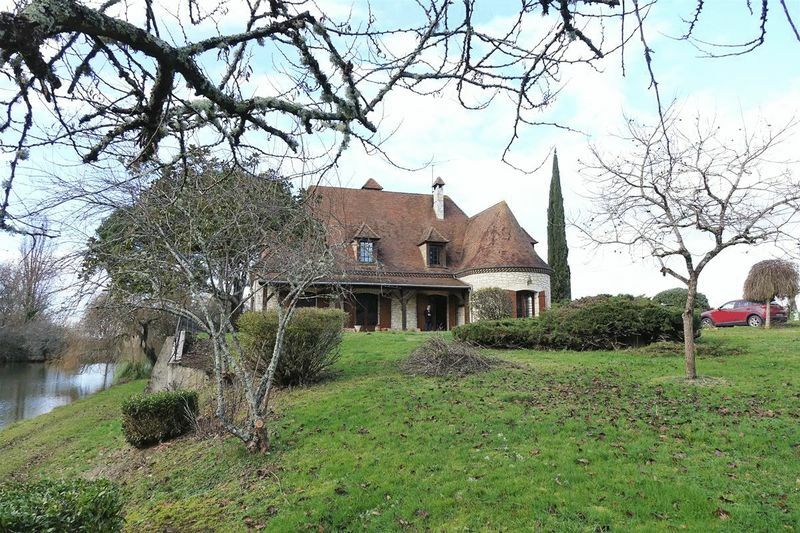 CHF16835- Beautiful spacious stone property with 5 bedrooms, a large pond, set in 5 Acres of grounds in a quiet location, in a hamlet, but not overlooked. Local shops can be found in a lively village only 4 kilometers away. 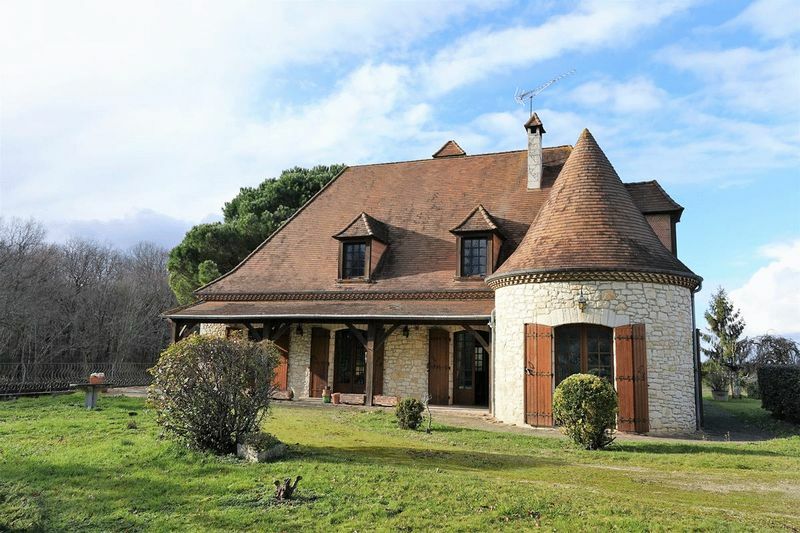 15 minutes drive from Bergerac. 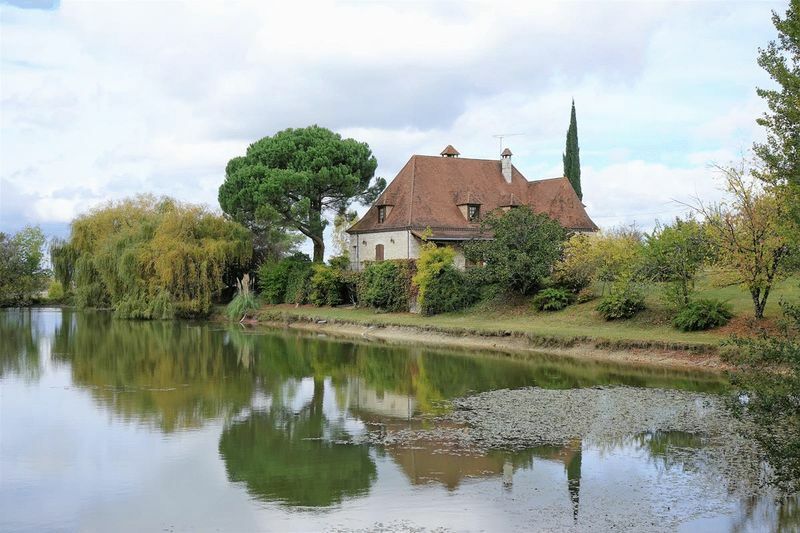 This character property has been built in a an elevated position, above the large pond and benefits from lovely views over the pond and grounds, woodland, meadows and some vineyards. The ground floor is adapted for wheelchair access but also the first floor, as a special lift has been added to the staircase. The property is adapted to those with reduced mobility or wheelchair users. 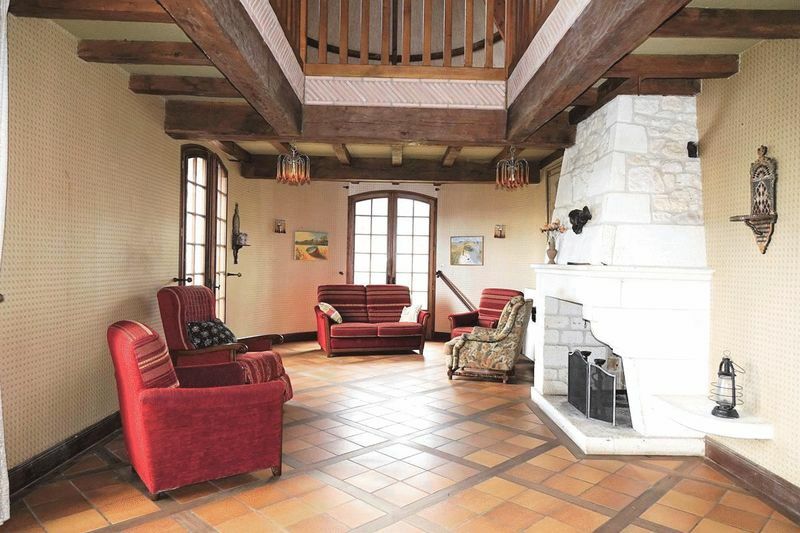 Entrance hall with solid wood staircase (24 m²) tiled floor, high ceilings with exposed beams, access to the side Terrace overlooking the large Pond. Spacious Sitting / Dining room (42 m²) with French windows overlooking the park, open stone fireplace, part of this area has been created in the curve of the tower, beautiful exposed oak beams with its mezzanine above. 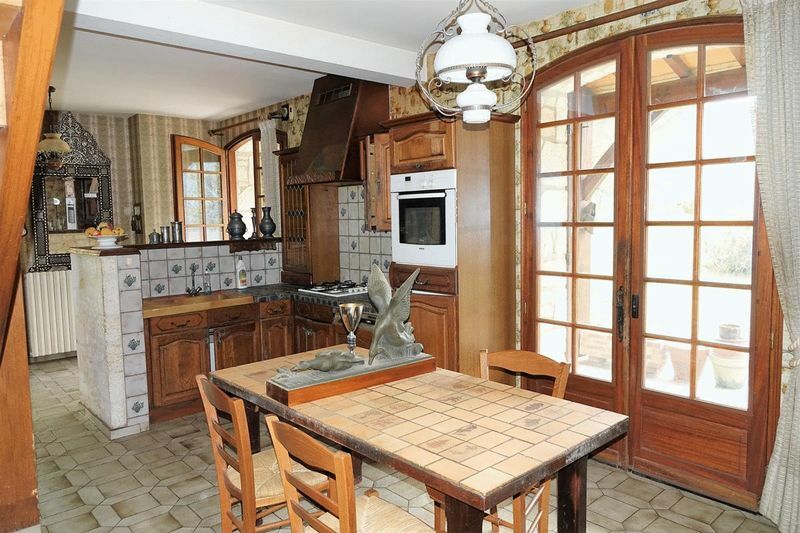 Semi-fitted and equipped Kitchen, direct access to the covered raised sun Terrace, tiled floor. 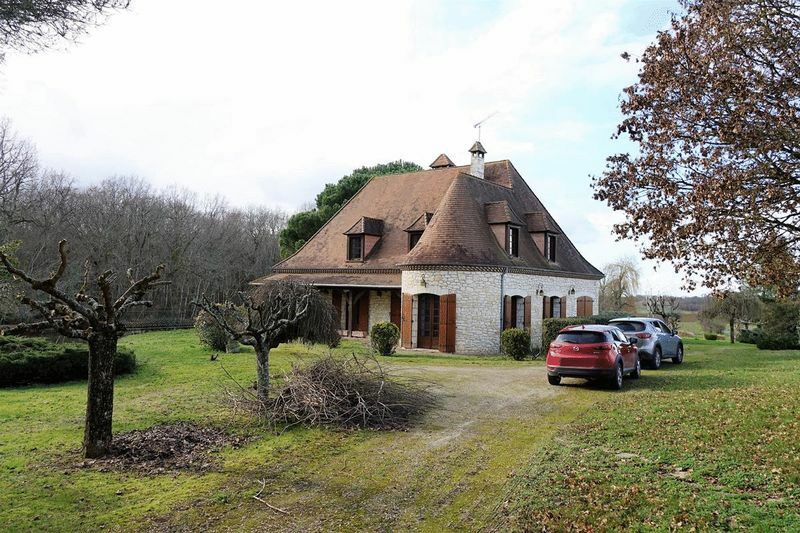 Large room / Bedroom (23.2 m²) tiled floor, double French doors with direct access to the garden and access to the Basement. Double Bedroom (13.3 m²) tiled floor, window overlooking the garden at the front. Bedroom (10 m²) with its window overlooking the rear of the property. Shower room with WC (7 m²) walk-in shower. * A beautiful covered terrace at the front of the property (20 m2) tiled, view in the park. * A terrace overlooking the pond (40 m²) tiled. Mezzanine (22 and 17 m²) with its windows providing plenty of light to the room and living room below. 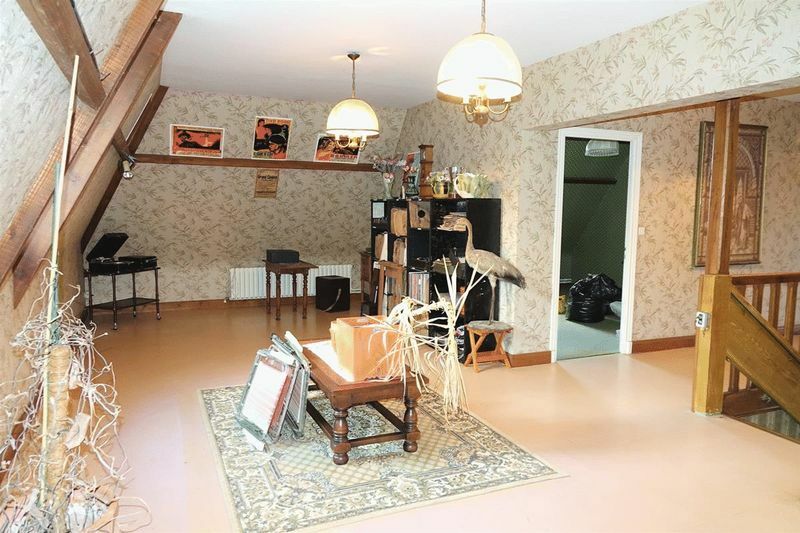 Double Bedroom (14.3 m²) with some exposed beams of the roof. Shower room (8.5 m²) tiled walls and floor. Dressing room / storage room (3 m²). The basement comprises several rooms. Boiler room with boiler 'Bosch' (20 m²). Oil-fired central heating. An open space (115 m²). Another open space (44 m²). An open space with the oil tank (13.5 m²). The entire basement has a concrete floor, block walls, a high ceiling, light/power points everywhere. 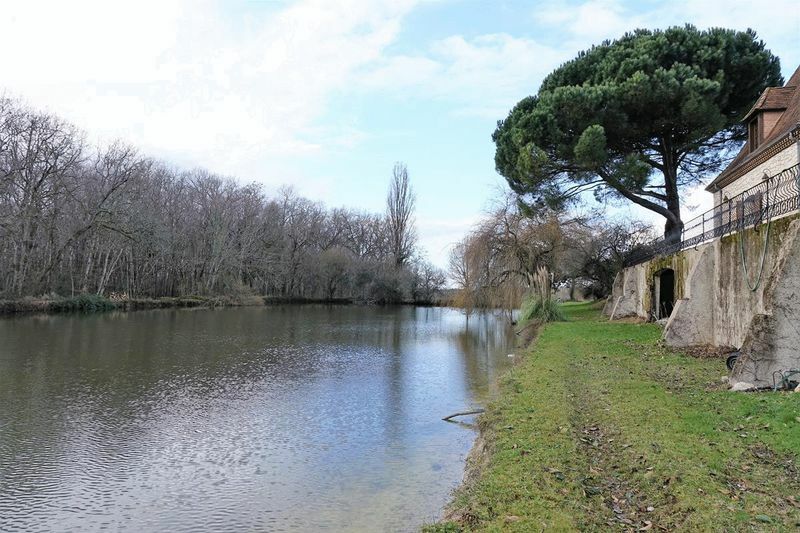 The basement is perfect for parking several cars, access is by the path that runs along the lake and which is reinforced in 'calcaire' stone. 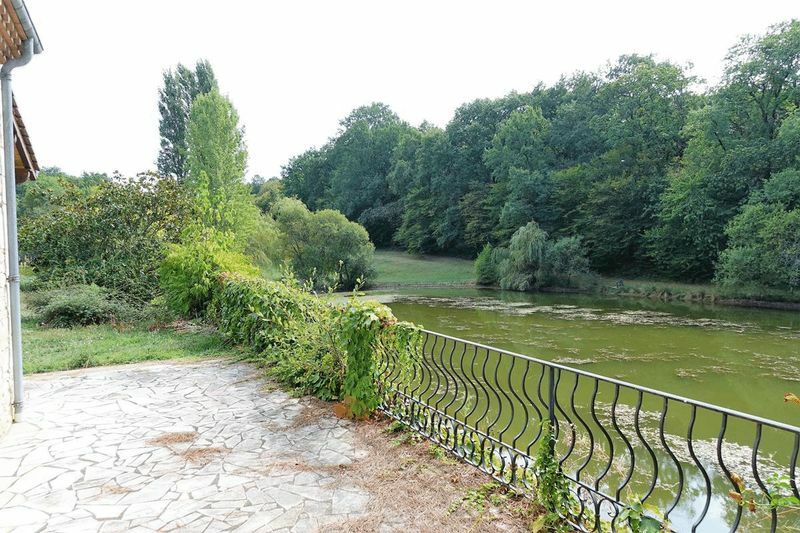 There is also an open space under the large Terrace with access into the basement and view over the lake/pond (34 m²). 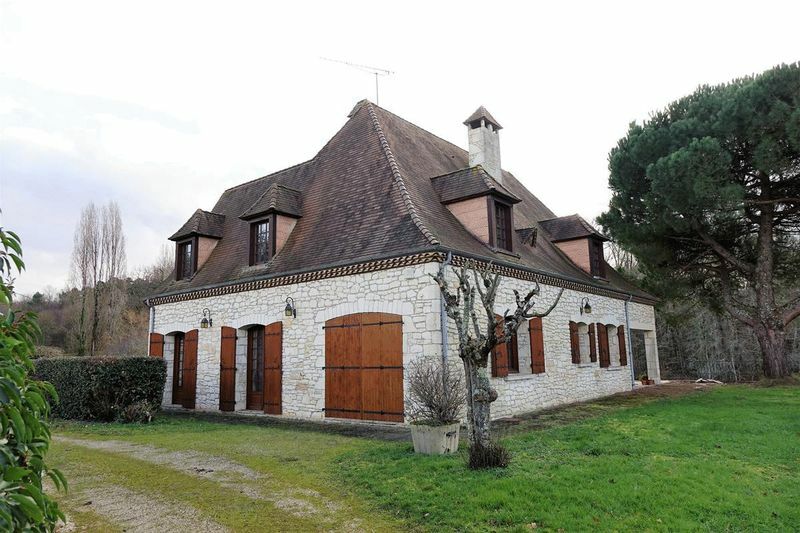 The location of this property is really superb, in a small hamlet, quiet, not overlooked and not totally isolated. The village, only 4 minutes' drive away, has a school, town hall, 'salle de fête', (village hall where events are organised), small supermarket, baker, post office, bar / restaurant. Set in 5 Acres of grounds.